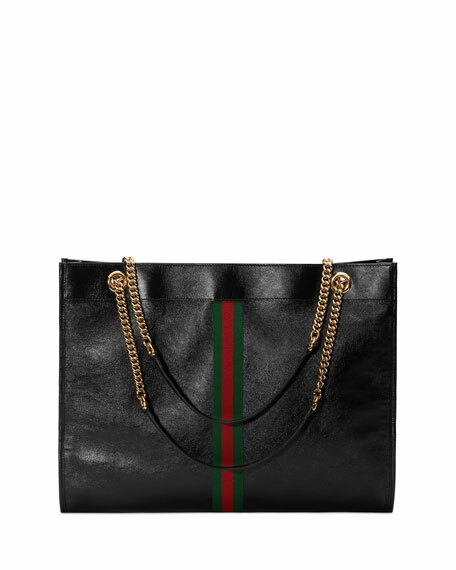 Gucci leather tote bag with signature green/red/green web stripe and golden hardware. Chain and flat shoulder straps, 10" drop. Crystal tiger head accent at top center. 14"H x 18"W x 2"D.